Having no experience in using Photoshop or other similar Photoshop tools, if you have difficulty in keeping photos in safe-zone, just download free Paint.Net it is top alternative image editing software to run in your windows PC. 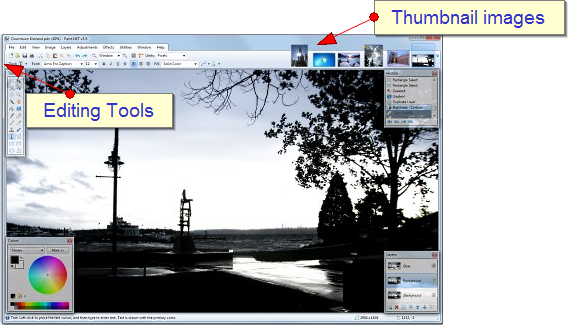 Download of Paint.Net freeware photo editing software you can manage all your images/photos with thumbnails at one place in your Windows PC. Paint.Net allows users to make some adjustments like filter, cropping, resize of images, add brightness,add some color effects and more with easy to use tools.